Country club road fields are not playable tonight we have move some practices to Sports on 66 indoor and some teams will be outside at Durham High school. Please check your children schedule for updates (you should get email and text as well about changes). We are back to CCR fields tonight for practice. GK Training is on tonight as well. If you order tickets for Hartford Athletic or Chelsea game please send check to MYS P.O Box 852 Middletown CT 06457 or give to me before Wednesday April 24th 2019 so we can give you tickets following week. Please check this google doc about tickets for upcoming games and if you want to go please add your family name and number of tickets for Revolution - Chelsea game only until end of the day today!!!!!!! Hartford game we have order 271 tickets and they will be given to parents few days before game. If i recieved money your family name is on yellow color on google document. Please pay for tickets before April 27th you can give money to managers or myself at Country club road please put it in envelope with your family name on it. Check can be made to MYS. WE WILL HAVE TICKETS NEXT MONDAY AND WILL START GIVING TO PEOPLE THAT PAID . I KNOW SOME OF YOU GIVE MONEY TO COACHES OR MANAGERS YOU ARE NOT ON YELLOW YET BECAUSE I DIDN'T RECIEVE THAT MONEY YET ONCE I HAVE IT i WILL UPDATE SYSTEM. PLEASE DO NOT ADD ANY MORE NAMES OR TICKETS TO THE LIST !!!!!!!!!!! There has been lots of planning for our events and we want to make sure that there is a challenging program for everyone. Please take a look at our upcoming events for the Spring and the Summer. If you want to SIGN UP just click on the BLUE program of your interest and it will take you to the registration page. If you want to read more about each program, then keep on reading. For 2019/20, we will be using a very new tryout process for our teams. All tryout registrants will have the opportunity to attend training within our normal practice settings during the month of May or attend Formal Tryouts the week of May 28 - May 31, 2019. Coaching Assignments for all teams will be posted in the days ahead of the start of tryouts. Please stay tuned for more information! Our teams will be playing next fall season in EDP CT, EDP Regional and EDP National leagues. We will have our brand new turf field in CCR complex as well so come and join Sporting CT and see why we are one of the best clubs around. Our coaching staff will be excellent we have UEFA A license coach, USSF A license coach, USSF B license coaches and USSF C license coaches that will be working with kids in our club. Tryouts are free of charge. To register click HERE. Our Sporting CT GVSA SOL Summer program is open for registration. To register visit our website www.sportingct.org and click on register now link any questions feel free to contact our Executive Director Goran Vasic at goran@sportingct.com or by phone 201 532-3778. We will have great coaching staff and each age group coach for the summer program will be announced by May 1st, 2019. Our ultimate goal is to help players build their CONFIDENCE and empower them to COMPETE on the field. Our CT SOL GVSA Summer Teams program encourages players to express themselves and play without fear of making mistakes. Our training sessions allow players to discover the true feeling and enjoyment of playing soccer. We understand that all children learn in different ways and our coaches are trained in delivering quality training that helps players achieve their highest level of performance. After coaching thousands of players over the last decade, we have seen and experienced firsthand all the developmental stages and challenges at the recreational, town, travel and premier levels. 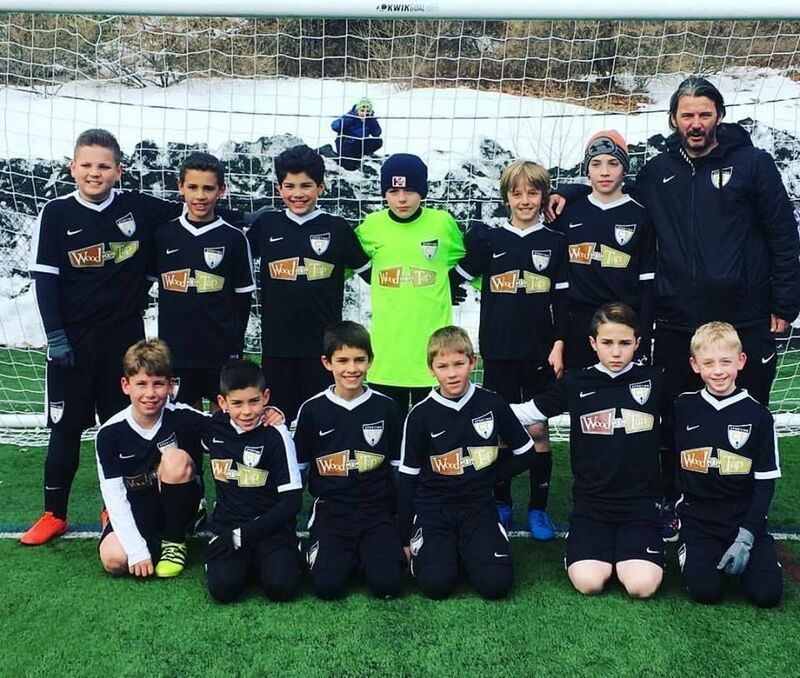 CT SOL GVSA is here to help players train effectively and reach their full potential by helping them prepare to compete confidently with their teams. Join us to have some FUN in the SUN. Our mission at CT SOL GVSA is to help our players compete with confidence in a fun game like training environment while learning new tricks and developing their skills. *The pricing of the tournaments it's included into the programs' fee. Our fees cover the coaching fees, facility fees, and two tournaments fees. This camp is designed for players looking to improve their skills The goal of this week's camp curriculum is to create confident, skillful players on the ball capable of making good decisions and recognizing 2v1 & 3v2 situations in all areas of the field. Our staff will create a fun, challenging, competitive atmosphere that encourages players to take risks with the ball, expands their comfort zone and improves confidence in competitive situations. Passing & Receiving both on the floor and in the air with a view to maintaining possession. Our final day will see a variety of small sided games tournaments (2v2 thru 8v8 formats), allowing players to demonstrate their newly acquired skills in a competitive situation for parents & friends who choose to attend. The main focus of this week of camp for the field players, is to focus on the ball striking and shooting technique. The Goalkeeper curriculum will emphasize technical foundations, footwork, handling, diving and all other aspects of the goalkeeper position. The combined curriculum is geared towards creating a fun and competitive environment where players & goalkeepers challenge each other on different skills related to finishing during each day's camp session. If you're looking to get better in- or in front of goal, this is the camp for you! Our final day of camp will see a variety of small sided game tournaments (2v2-8v8 formats) allowing players to demonstrate their newly acquired skills and abilities for friends and family who choose to attend. We want to invite you to our summer camp at Sports on 66 arena 265 West High street East Hampton CT for a FUN and CHALLENGING week of training to kick-start our fall season! This camp is open to players of all levels between 5 & 14 years of age. Our professional coaching staff will help facilitate a smooth week full of skill development, shooting technique, small sided games and many more fun activities that will help engage our players physically and socially. Our final day will see a variety of small sided games tournaments played (4v4, 6v6 or 8v8 per format) allowing players to demonstrate their newly acquired skills and abilities to family and friends who choose to attend. This camp will serve as the main pre-season camp for all Sporting CT players for the 2019-20 seasonal year. The primary focus will be on the physical condition and preparation of the players to improve strength, speed, coordination, balance, and quickness. The goal of this camp is to have each player see gains in their physical performance to better sustain a high level of play throughout the course of the year. This will include SAQ exercise, soccer-specific conditioning, and ball skills - the ball will not be neglected!!! The demands of this camp are to push you harder, further and faster than anywhere else. Proper warmup, cooldown, and body maintenance will be addressed to develop good individual fitness habits and prevent injury. This is a great camp to get players into shape, connect with teammates and prepare for the season in a fun and competitive environment! Open to all players age 6-14. Our final day will see a variety of small sided games tournaments (2v2-8v8 formats) to allow the players to demonstrate their newly acquired skills and abilities to friends and family who may choose to attend. In high-level games, tactics are often the difference. This camp will emphasize the importance of tactics - the roles and responsibilities of each player during each phase of the game - and strive to teach the players good habits when reading the game to make effective choices to benefit their team. The secondary influence of this camp will be to push players to use and apply these tactical scenarios in a free-play environment where structured, small-sided and large sided games are the norm. Scenario-based games - game management challenges, playing numbers up vs numbers down, winning or losing late in the match - will be the vehicle through which these ideas are conveyed and imprinted on the players' learning. This will also serve as the LAST BLAST camp for Sporting CT Players looking to get a week of training in prior to their season starting for fall. Our final day will see a variety of small sided games tournaments played (2v2-8v8 formats) to allow the players to showcase their newly acquired skills and abilities to family and friends who choose to attend. This camp will provide a last chance for preseason preparation for those who want the week of training. This is a more complex camp where we want to make sure players understand their roles in various situation of the game. The coaches will focus on offering their knowledge thru different training sessions where players will later be allowed to freely experience what they learned in a FREE play environment. Applying what you learn in a FUN and FREE environment is what learning is all about. This camp will truly help players develop their tactical understanding of the game so they can perform better for their teams during the season. Our final day will see a variety of small sided game tournaments played (2v2, 4v4, 6v6 & 8v8) allowing players to demonstrate their newly acquired skills and abilities in front of all family members and friends. Coaching Assignments for all teams will be posted in the days ahead of start of tryouts. Please stay tuned for more information! Our coaching staff will be excelent we have UEFA A license coach, USSF A license coach, USSF B license coaches and USSF C license coaches that will be working with kids in our club. we have started the conversion of our existing soccer field #1 in to a much needed 24/7 field. The construction will take approximate two months,we will monitor the work as progresses day by day. Many of our members have helped in various capacities, from attending meetings with the city, to prepare documents, updating maps,etc.etc..
Also thanks to many of our members for helping in fundraising events, thanks to our sponsors and our directors for providing a downpayment and a suitable financing for the project that we funding 100%. 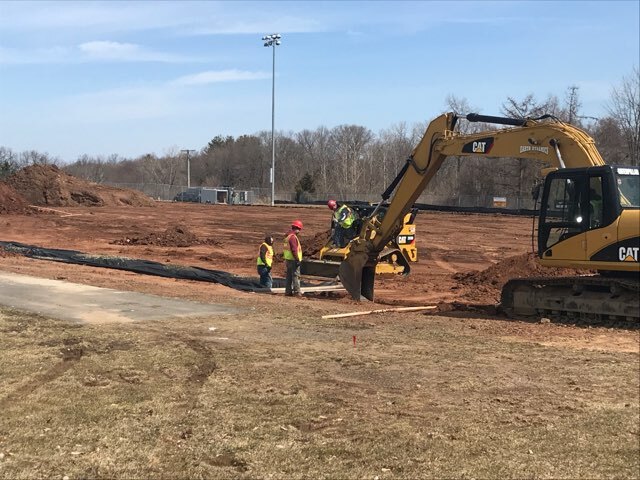 When we build the Country Club facility, years ago, we dreamed to have a 24/7 field for our members, well, dream is coming true !! Feel free to email us if you have any questions and we look forward to seeing with you in the summer. We have designed each camp with our players' needs in mind. We want to help players work on their weaknesses while improving on their strengths so they can become better players. We will outline the camps topics and dates so you can plan accordingly and attend all or the camps that best fit your players' needs. Our final day of camp will see a variety of small sided game tournaments (2v2-8v8 formats) allowing players to demonstrate their newly acquired skills and abilites for friends and family who choose to attend. This camp will serve as the main pre-season camp for all Sporting CT players for the 2019-20 seasonal year. The primary focus will be on the physical condition and preparation of the players to improve strength, speed, coordination, balance and quickness. The goal of this camp is to have each player see gains in their physical performance to better sustain a high level of play throughout the course of the year. This will include SAQ excercsie, soccer specific conditioning and ball skills - the ball will not be neglected!!! The demands of this camp are to push you harder, further and faster than anywhere else. Proper warmup, cooldown and body maintenance will be addressed to develop good individual fitness habits and prevent injury. This is a great camp to get players into shape, connect with teammates and prepare for the season in a fun and competitive environment! This camp will provide the last chance for preseason preparation for those who want the week of training. This is a more complex camp where we want to make sure players understand their roles in a various situation of the game. The coaches will focus on offering their knowledge thru different training sessions where players will later be allowed to freely experience what they learned in a FREE play environment. Applying what you learn in a FUN and FREE environment is what learning is all about. This camp will truly help players develop their tactical understanding of the game so they can perform better for their teams during the season. 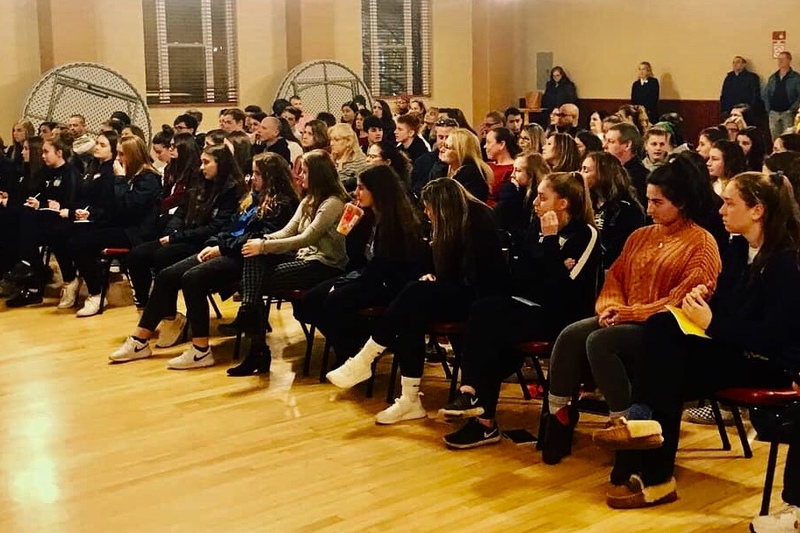 We want to thank all our members for coming to Italian society club Tuesday night for college pathway presentation. 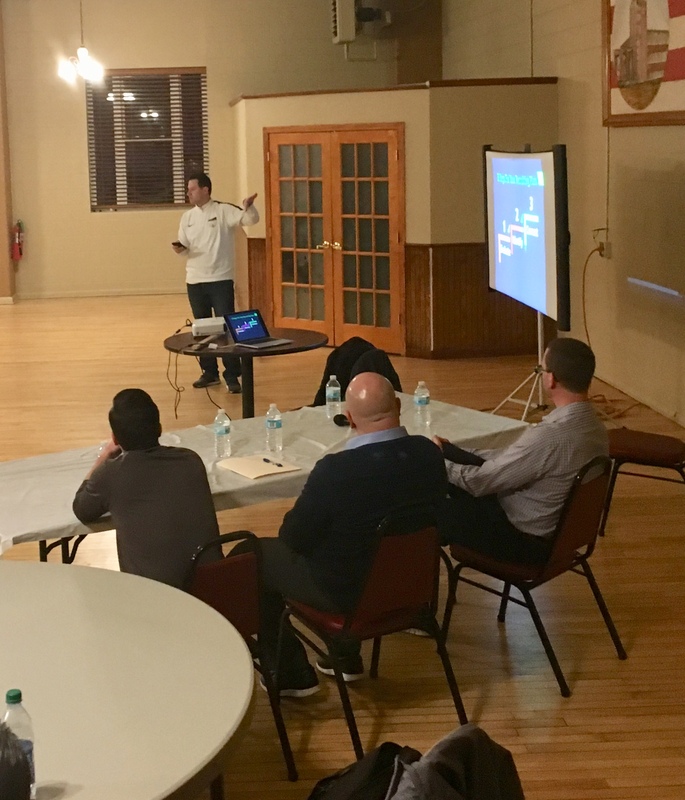 Coach Andrei did fantastic job with his presentation and we had some great college coaches in attendants that give us some very valuable informations to help out our athletes choose what is right way for each of them to go about choosing college they want to attend. We hope all of you had great time. Some age groups for our GVSA SOL summer program are almost full but you still have until June 1st to register!!! We will have great coaching staff and each age group coach for summer program will be announced by June 1st 2019. Our fees cover the coaching fees, facility fees, and two tournamnet fees. Hurry as spots per team are limited. Our Sporting CT 2019 Summer Camps are open for registration at our website www.sportingct.org click on register now orange link and choose week or weeks you would like to sign up your kids. We have designed each camp with our players needs in mind. We want to help players work on their weaknesses while improving on their strengths so they can become better players. We will outline the camps topics and dates so you can plan accordingly and attend all or the camps that best fit your players' needs. ​This camp is designed for players looking to improve their skills The goal of this week's camp curriculum is to create confident, skillful players on the ball capable of making good decisions and recognizing 2v1 & 3v2 situations in all areas of the field. Our staff will create a fun, challenging, competitive atmosphere that encourages players to take risks with the ball, expands their comfort zone and improves confidence in competitive situations. ​Passing & Receiving both on the floor and in the air with a view to maintaining possession. ​Our final day will see a variety of small sided games tournaments (2v2 thru 8v8 formats), allowing players to demonstrate their newly acquired skills in a competitive situation for parents & friends who choose to attend. ​The main focus of this week of camp for the field players, is to focus on the ball striking and shooting technique. The Goalkeeper curriculum will emphasize technical foundations, footwork, handling, diving and all other aspects of the goalkeeper position. The combined curriculum is geared towards creating a fun and competitive environment where players & goalkeepers challenge each other on different skills related to finishing during each day's camp session. If you're looking to get better in- or in front of goal, this is the camp for you! ​This camp will serve as the main pre-season camp for all Sporting CT players for the 2019-20 seasonal year. The primary focus will be on the physical condition and preparation of the players to improve strength, speed, coordination, balance and quickness. The goal of this camp is to have each player see gains in their physical performance to better sustain a high level of play throughout the course of the year. This will include SAQ excercsie, soccer specific conditioning and ball skills - the ball will not be neglected!!! The demands of this camp are to push you harder, further and faster than anywhere else. Proper warmup, cooldown and body maintenance will be addressed to develop good individual fitness habits and prevent injury. This is a great camp to get players into shape, connect with teammates and prepare for the season in a fun and competitive environment! ​Open to all players age 6-14. ​In high level games, tactics are often the difference. This camp will emphasize the importance of tactics - the roles and responsibilities of each player during each phase of the game - and strives to teach the players good habits when reading the game to make effective choices to benefit their team. The secondary influence of this camp will be to push players to use and apply these tactical scenarios in a free-play environment where structured, small-sided and large sided games are the norm. Scenario based games - game management challenges, playing numbers up vs numbers down, winning or losing late in the match - will be the vehicle through which these ideas are conveyed and imprinted on the players' learning. This will also serve as the LAST BLAST camp for Sporting CT Players looking to get a week of training in prior to their season starting for fall. This camp will provide a last chance for preseason preparation for those who want the week of training.. This is a more complex camp where we want to make sure players understand their roles in various situation of the game. 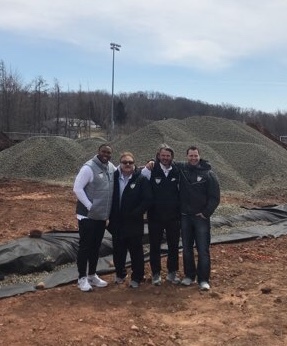 The coaches will focus on offering their knowledge thru different training sessions where players will later be allowed to freely experience what they learned in a FREE play environment. Applying what you learn in a FUN and FREE environment is what learning is all about. This camp will truly help players develop their tactical understanding of the game so they can perform better for their teams during the season. Tonight start our GK training - please have GK's at each training with coach Joe this practice take priority over team practice for all GK's in our club. If your child team practice that night you can finish last 30 minutes of practice with their teams. Practice will be upstairs at baseball cages area. We are happy to announced hiring of GK coach Joseph Russo for reminding of 2019 season. Coach Joe has work with CFC Hamden and North Haven soccer club goalkeepers in past few years and we are happy to have him join our Sporting CT coaching staff. Indoor GK training will be held Monday night at Sports on 66 arena in baseball cage area upstairs starting January 28th. Indoor training will be 8 weeks long and will be free of charge for all Sporting CT Goalkeepers. Here is times for all age groups. We highly recomend that all GK's go to coach Joseph sesssions. Spring Goalkeepers schedule will be announced at later date close to spring season start. 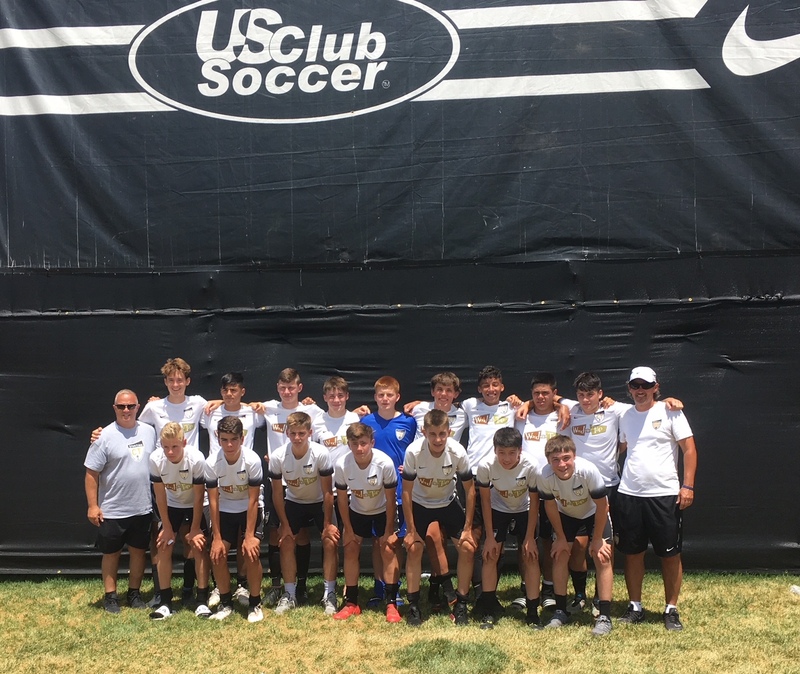 Our Sporting CT 2003 boys had attend Nationals tournament in Aurora Colorado this past weekend. What a great exposure for our club and our team this trip was. It was nice to be around one of the best teams in USA and compete against teams from other states. We tied our first game 1-1 against team from California, second game we won 2-0 against team from NY and our last game we lost 2-0 against Columbus Ohio team. This boys are great example for all our younger age group teams that with hard work, talent and good coaching everything is possible, we are all looking forward for more Sporting CT teams to reach this level and expirience next level of play in tournaments like this one..
Congratulations to our Sporting CT coaches and players on winning the State Cup. When you see great success at this level it starts with the right player developmental philosophy which our club continuously works on implementing daily in all our players. Without committed, hard working and talented players and coaches who endlessly dedicate their time and trust into our club over a long period of time, none of this would be possible. When all the details are in place, the big picture will come once we master the execution process. It’s easy to see our goals and objectives coming to life. This is a process and it can be very beneficial if you commit yourself to it and give it your best no matter the outcome. Patience it’s a virtue many don’t have or understand. You can’t win cups/leagues/tourneys without mastering your patience on how to overcome your struggles which will help you build a great character for the rest of your life. Great things will come your way but you first must learn from your failures and defeats. Today our club had an amazing day by making history on winning the state cup on numerous ages for the first time ever. Our leadership and coaching team is strong and hungry to succeed. We are very happy to announce that we have reached an agreement with Minuteman Press, to be our uniforms sponsor for the next two years. We like to thank and welcome Charlie Lazich and his company to be part of Sporting CT family. 195 West Main Street Avon. A PRINTING & PUBLISHING COMPANY. More exciting news about our Sporting CT program coming out soon..
We are happy to announced that GVSA summer teams will merge with Sporting CT Sol teams for upcoming summer program. Our new summer program will be called Sporting CT Sol GVSA and will be run by our Sporting CT Executive Director and GVSA owner Goran Vasic. Registration for 6 weeks summer program will be open by March 10th 2018. We will have boys and girls teams for age groups 2009,2008,2007,2006,2005,2004,2003 and 2002. Our summer program will start on June 25th 2018. Boys will practice Monday and Wednesday. Girls Tuesday and Thursday nigths. Full schedule for practices will be available soon..All practices will be held at Country Club road fields. Program will include two practices a week and two tournaments July 14-15th in Rhode Island Seaside Classic tournament and August 18-19th in Wallingford Twist tournament . Coaching staff for summer program will include Goran Vasic, Jarice Manson, Andrei Popescu, Carl Lombardo, Hector Ballesteros, Branislav Obrenovic, Hikmet Aslan, Victor Lopez, Dylan Hogan, Nicole Sambrook and few more coaches that will join our club. 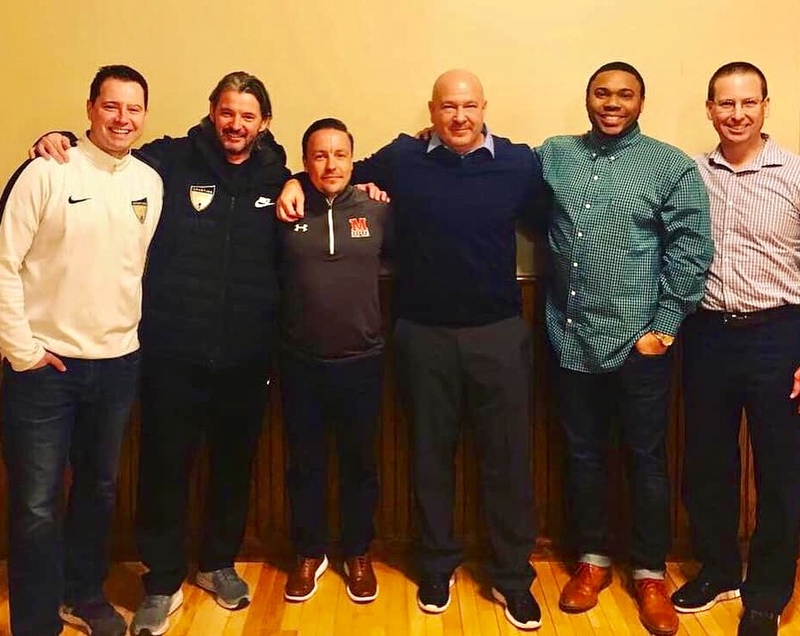 Sporting CT is very happy to secure services of one of the top coaches, not just in our club, but in all of Connecticut. Coach Jarice is a very passionate person who wants the very best for each and every child he coaches. He knows how to motivate and gets the best out of each player. Jarice has been with Sporting CT for the past 5 years. During those years, we saw each child, under his leadership, become a better soccer player. We also saw improvement on each team he coached. Coach Jarice will become Academy Director for Sporting CT. He will be responsible for overseeing our fall academy program where we have over 600 children each fall. He will also search and find talented players ready to move to either our travel program or premier program. Jarice will continue to coach his current teams for the 2018/19 season and he will help coach Andrei with college prep presentations for our high school players. Lastly coach Jarice will continue to run our winter futsal program for boys and girls groups. We will continue to update you with more coaching assignments, and news about Sporting CT, in the next few days. We look forward to a bright future with Coach Jarice. Sporting CT is happy to announced that coach Andrei Popescu has agreed to extend his contract thru the 2018/19 season. As a club, we are happy to have a person, and coach, like Andrei, on our team. He will bring a tremendous amount of knowledge and experience to Sporting CT. He will also pass along a tremendous amount of soccer knowledge to the players in our program. Coach Andrei will also be involved in coaching our summer programs and will be involved in organizing our clinics throughout the year. He will continue to coach 2 Sporting teams this fall and will also take on the role as Sporting Director of College Prep and Futsal. As Director of College Prep, his main goal will be to work with high school players and families to navigate the college application process. He will give parents and players the necessary steps to make the application process as stress free as possible. As Director of Futsal, he will run our Futsal program. During the last two years, the futsal program became quite popular and gained a solid amount of interest from our members. More coaching announcements will follow in the days to come. We look forward to working with Coach Andrei in the 2018/19 season. We congratulate Goran Vasic to his new position of Sporting CT Executive Director. Goran has been an important figure with Middletown Youth Soccer for the last 8 years. As a Director of Travel, our Magic teams have provided an opportunity to local children to experience good coaching and success. Two Magic teams winning recently the CT Cup competition. Goran is also being a successful Coach for our Sporting CT premier teams, winning many tournaments and showcases. Coached and played at professional level in Europe and USA. Coaching education with USSF coaching staff in Portugal 2016 (visit to FC Benfica, FC Porto and Sporting FC first team and youth program). We know that Goran will work diligently with all coaches, players and parents. Goran will replace Zach Eddinger who will remain as coach until the end of the spring season with his current Sporting CT teams. We thank Zach for the years that he has worked for the Sporting CT Club and we wish him good luck in his new venture. There will be no changes in any Sporting CT teams, coaches or schedules until end of the spring season. The club's mission and vision will stay the same and we will implement new changes that will benefit all our members by saving costs, providing quality training programs and choosing very strategically as to what tournaments and leagues each team will play based on their age and level. Many positive changes will come into affect under the new leadership role and our commitment to our members will be stronger than ever. With such quality coaches under the Sporting umbrella we will be able to help all our players and community strive as one. Looking forward to serve you! Sporting CT is always looking for players who can contribute positively to our on-field success and off-field environment. We pride ourselves on offering a development experience unlike anyone else in the area. To learn more about our program, or to arrange a visit/trial, please reach out to us at goran@sportingct.com and one of our directors will get back to you promptly.